It’s easy to squash a cockroach crawling on the floor, but what if you encounter an army of roaches? What do you do to get rid of them? Kill them or hoist a white flag, scream out loud or jump on the couch? Don’t let the cockroaches do the victory dance on your turf. If your home is infested by roaches, then it’s time to charge against them and show them the door! These pests survive and thrive in unsanitary conditions, and where food and water are easily available. So, in order to get rid of your territory invaders, you need to make sure they don’t have access to food or water. Store all your food items in tight jars and containers. If you leave them open, they will be hogging on it and will never leave. eating we tend to drop little bits of crumbs on the floor which are enough for roaches to feed on and survive. So, vacuum the floor regularly and wipe the countertops and the table properly to maintain sanitation and to ensure the critters don’t have access to food. If you have the habit of leaving the dirty dishes in the sink, then you need to change it. 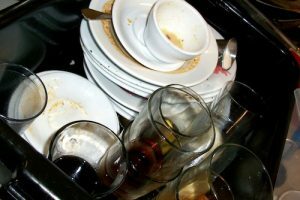 Leaving the dishes unwashed overnight is one of the biggest reasons for pest infestations in homes. So, make sure you wash all your crockery and the cutlery right after you eat. This way there will be practically nothing available for the roaches to feast on. Cockroaches like starchy things like wallpaper paste. If they don’t get access to food, they can easily survive on it. Therefore, always opt for paint over wallpaper. However, if your home is already wallpapered, then to avoid roaches from going through the wallpaper paste, repair loose spots and seal air bubbles. Use caulk to seal small holes, moldings, cracks, and crevices in your home. Cracks in walls and small gaps provide safe cover for cockroaches. So, you definitely need to seal them up. If you tend to hoard old and broken furniture, clothes, and other items that are of no use, it’s best to throw them away as these creatures are tempted to take up residence in cluttered places. such places. To prevent them from doing so, use a garbage bin that can be easily covered from the top and also make sure you take out the trash before you go to sleep. providing cockroaches such sites, make sure to clear up the drains. Also, fix leaky pipes and taps because any place that is moist can serve as a potential harborage area for cockroaches. 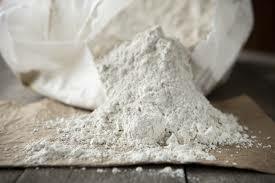 If the problem is big, you may have to use powerful insect killing chemicals and repellents like boric acid power, diatomaceous earth, Guardian Pest Repeller, and Pest Repeller Ultimate AT, to kill and repel these creepy crawling invaders from your property. However, when using these don’t forget to take safety measures. Nonetheless, if you are looking for an immediate and long-term solution to drive these measly pests away, then it’s best to call the professional for the job. They have the experience, the expertise and the right equipment for long term pest control.